Janise Wiggins serves as the Governor’s Consumer Health Advocate with the State of Nevada’s Office for Consumer Health Assistance, where she focuses on education, advocacy, access to care, and health care policy. In this role, she also supervises the Nevada Bureau for Hospital Patients and the Nevada Office of Minority Health. 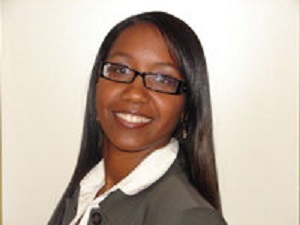 Janise has been a health services advocate for racial/ethnic and other minority groups in Nevada for nearly 20 years. Her service to Nevadans has included experience in both the non-profit and public sectors, to include time with the YMCA of Southern Nevada, Southern Nevada Health District and Clark County Social Service. Janise was recently appointed to the Nevada Network Adequacy Advisory Council by the state’s Division of Insurance Commissioner, and she and her staff were selected as recipients of the 2017 Health Advocate Award for Health Agency by Nevada’s Community Partners for Better Health. Janise has also worked to facilitate the creation the Nevada Minority Health and Equity Coalition, which currently consists of more than 40 community organizations statewide. Janise holds a Bachelor in Social Work and a Master of Public Administration, both from the University of Nevada, Las Vegas (UNLV). She is a dedicated wife and the proud mother of four.